True Entertainment is the television channel in the United Kingdom that replaced Showcase TV on 3 August 2009. The change was originally scheduled to happen on 1 July 2009, but a late change put the change "on hold until further notice". 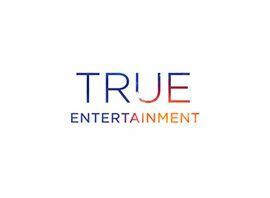 True Entertainment launched on 3 August 2009. Whilst the bulk of its current programming is movies, similar to sister channels True Movies 1 and True Movies 2, the channel aims to establish itself as a general entertainment channel. Its licence first appeared on the Ofcom website in January 2007 (initially named "Toon TV", this was changed to "AnimeCentral" in June 2007, to "True Entertainment" in June 2008, and to "Showcase TV" on 26 August 2008. It then changed back to "True Entertainment" on 10 June 2009. Its logo is the same as the True Movies 1 and True Movies 2. On 5 July 2010, True Entertainment launched on Freesat channel 142. On 1 March 2011, True Entertainment launched on Virgin Media channel 189. True Entertainment launched on Freeview channel 61, with the exception of transmitters in Wales, on 6 August 2013. It was accompanied by a refreshed schedule to take into account the new Freeview viewers. True Entertainment +1, a one hour timeshift channel, was launched on 25 February 2013. The channel was replaced by True Drama on 4 June 2013. The channel relaunched on 3 April 2014, replacing BuzMuzik, which closed due to CSC bringing Starz TV to their list. It closed again on 17 August 2015, with its slot being bought by the Information TV group for Showcase, which moved from channel 192, as its slot was bought by BT Group for their AMC channel.